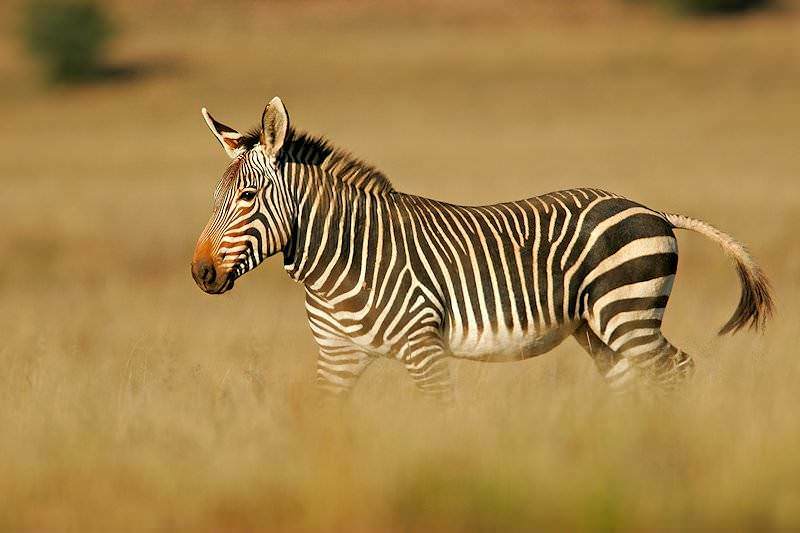 Mountain zebras are hunted in the southern and central parts of South Africa. 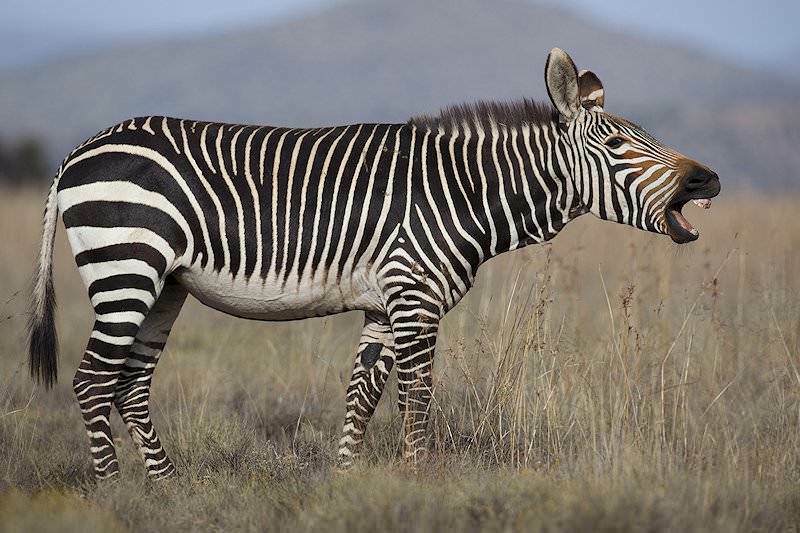 If hunting mountain zebra is your goal, all that applies to the slightly larger Burchell's variety applies here as well. 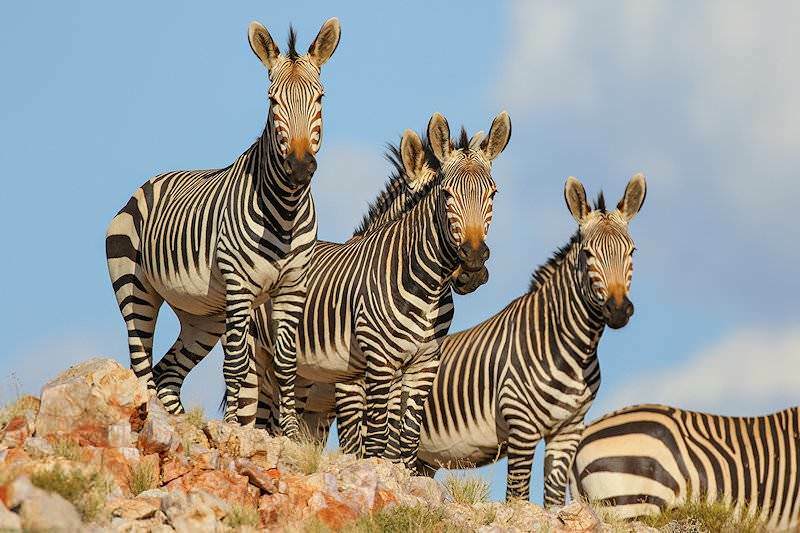 The Cape mountain zebra and Hartman's mountain zebra are basically the same animal and differ for the most part only geographically. 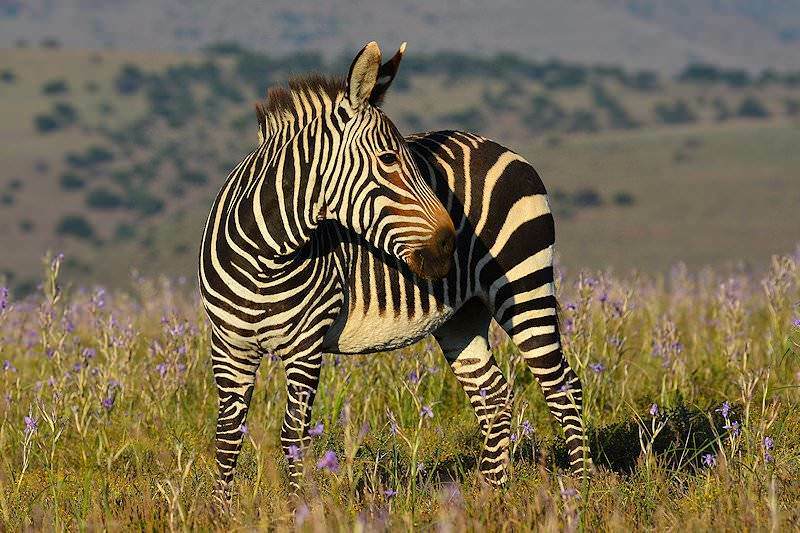 The Cape mountain zebra can be found in the southern reaches of the Eastern and Western Cape provinces of South Africa while the Hartman's variety is concentrated largely in the western arid parts of Namibia. 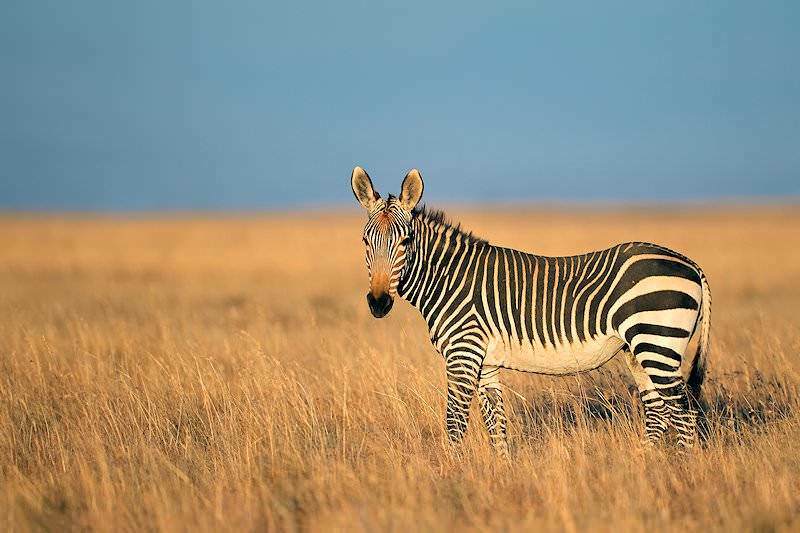 Both animals are quite similar, however, the Cape variety may be a bit smaller. 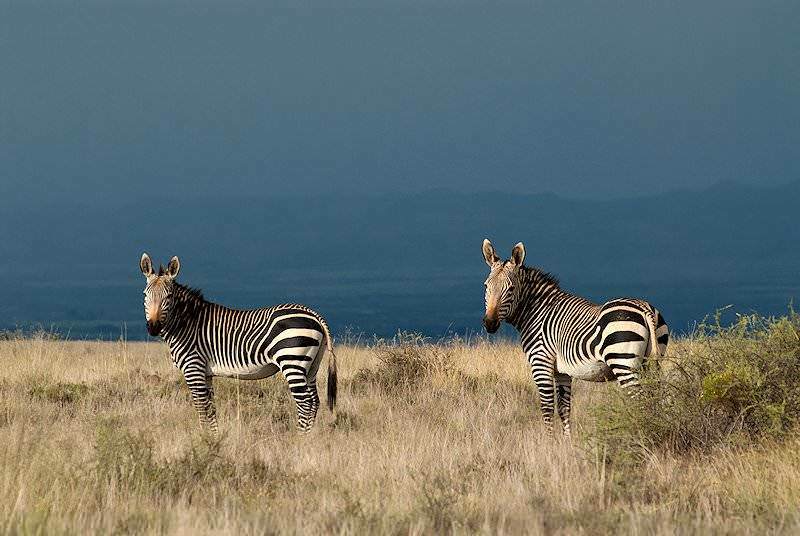 These social animals prefer the mountainous areas, as their name implies. The Hartman's can also be found on the sand flats. 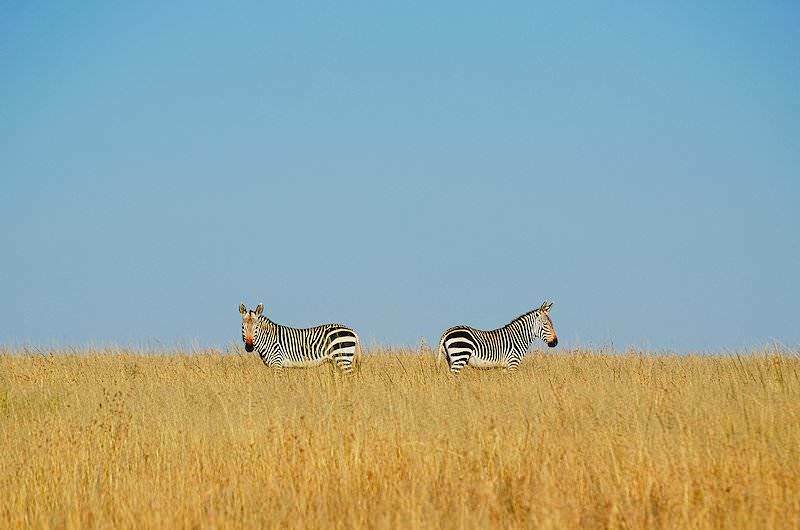 The major physical difference between the mountain zebra and the Burchell's is the lack of the shadow stripe. 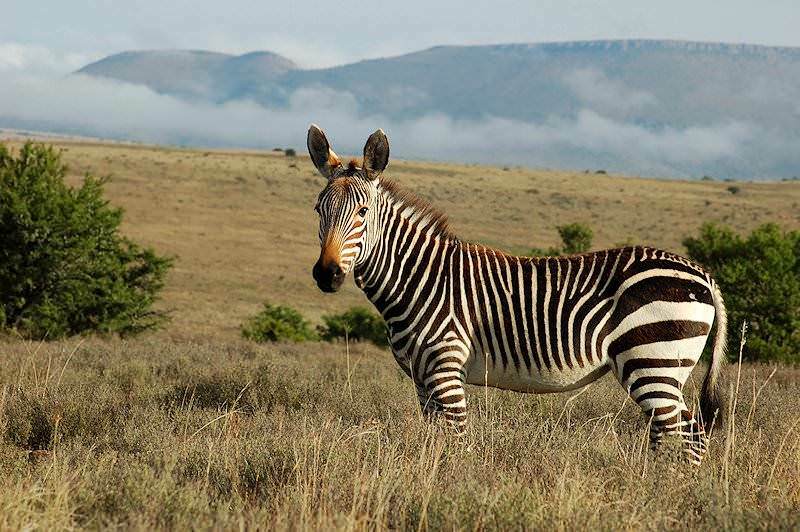 In addition, the mountain variety has a characteristic white belly while the stripes go all the way around the Burchell's zebra. 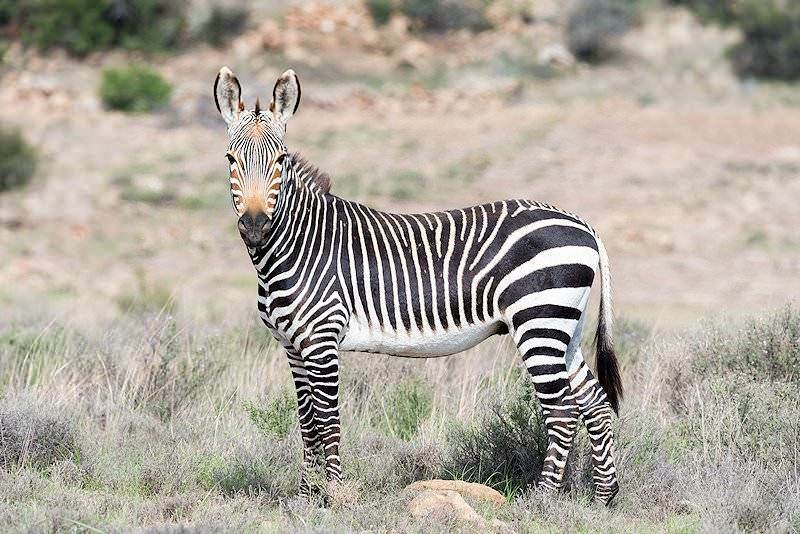 Mountain zebra also have a dewlap, which is absent from “Brother Burchell's”. 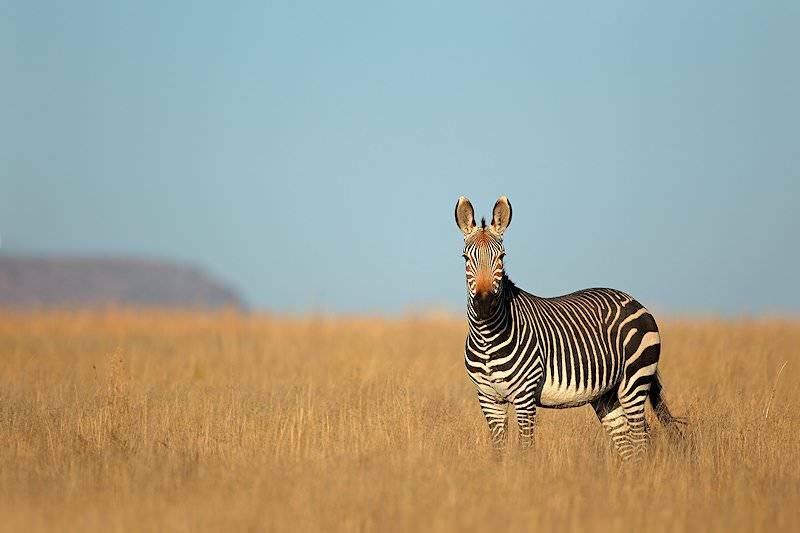 The mountain zebra is most active during early morning and late afternoon. However, the Cape variety make no attempt to seek shade during the heat of the day, as do the Hartman's. 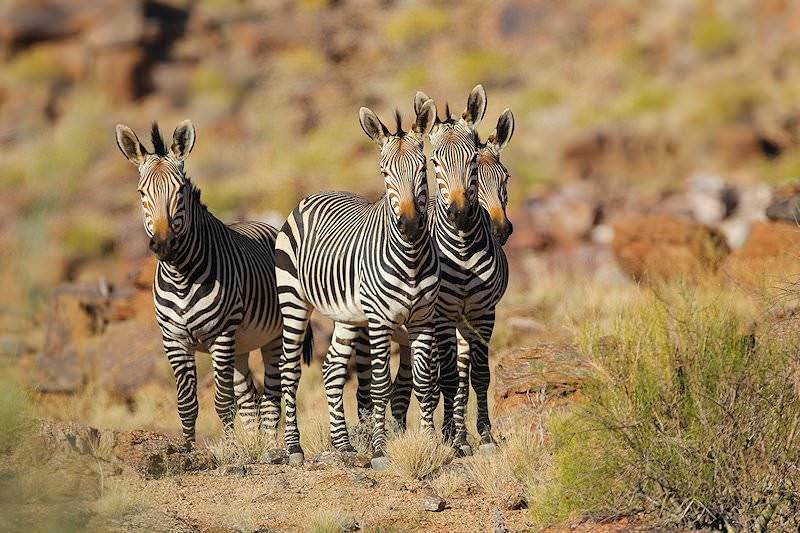 This is most likely due to the extreme temperatures prevalent in the Hartman's range. 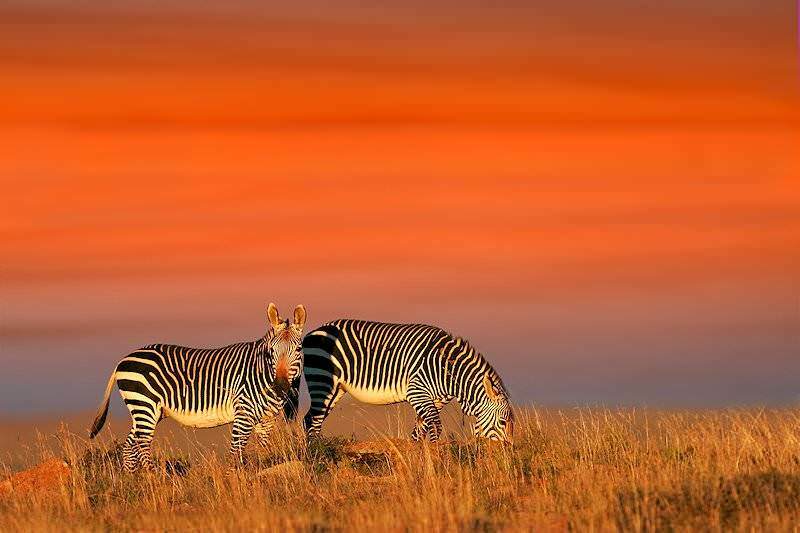 Both grazers, the Cape variety will sometimes browse. 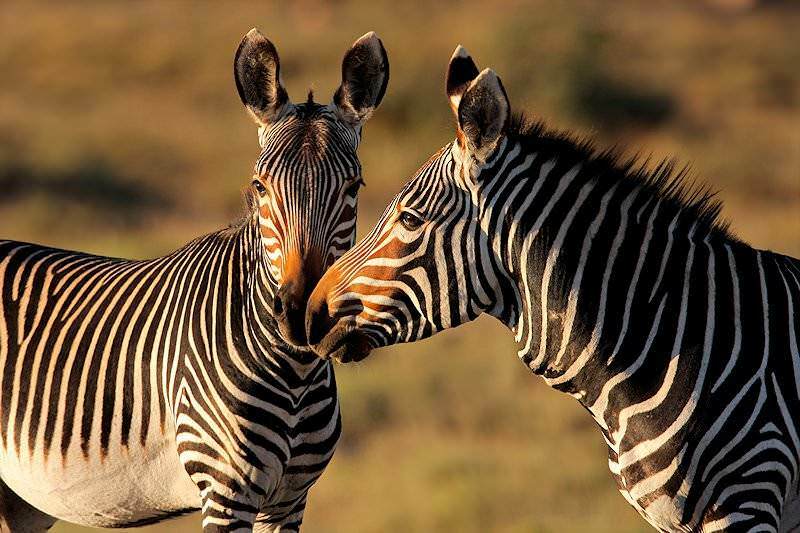 Both the Cape and the Hartman's zebra are water dependent and will always be found near an abundant water supply. 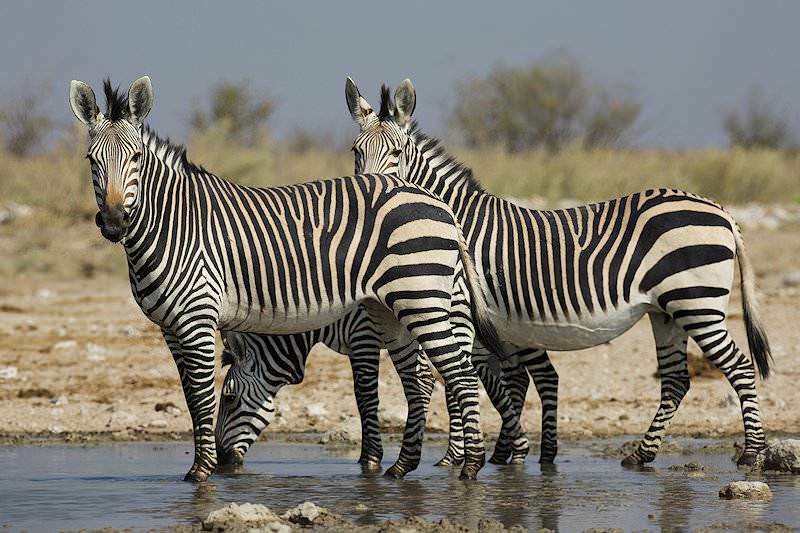 Due to the harsher conditions under which the Hartman's zebra lives, he will often dig deep for water, thus providing a water supply for many other species. 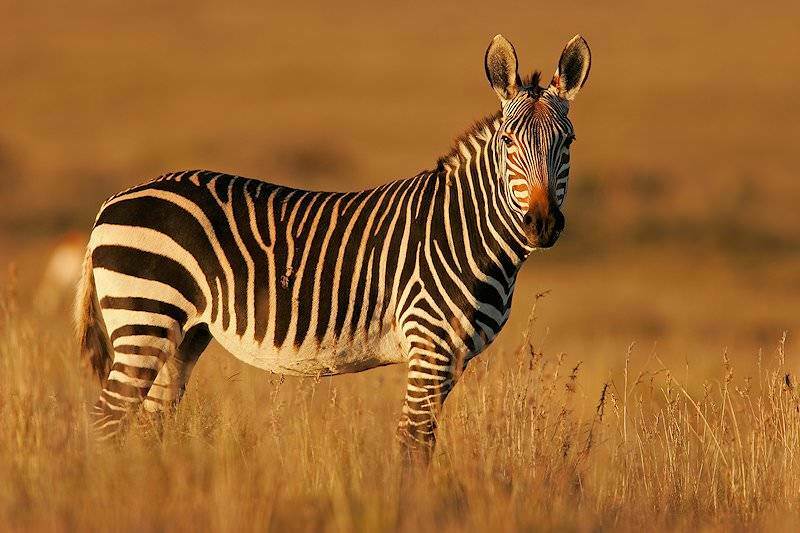 When hunting mountain zebra, look for the approaches to the water holes and pans at daybreak or late in the afternoon. 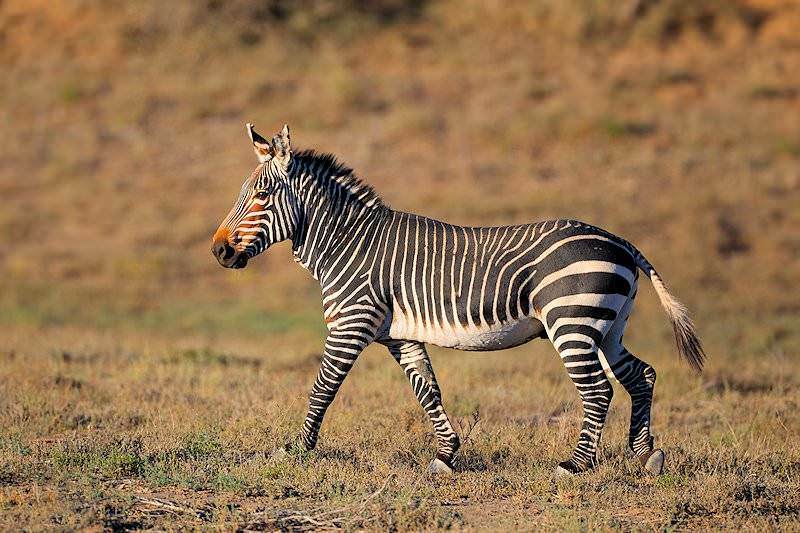 Look to the younger males or mares for a trophy hide, as the old stallions will be scarred from fighting. 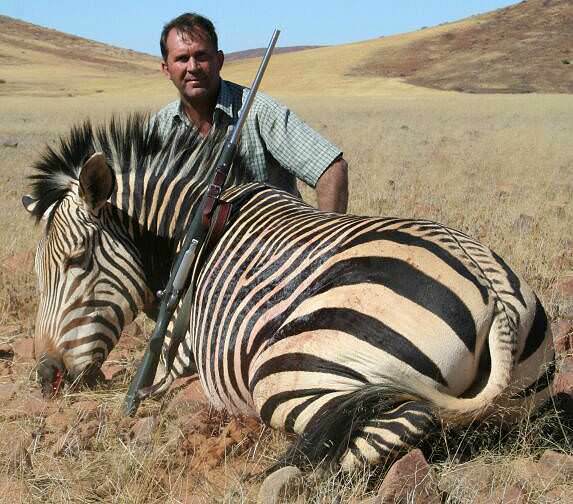 Hunting mountain zebra with less than the .270 Win cannot be recommended. 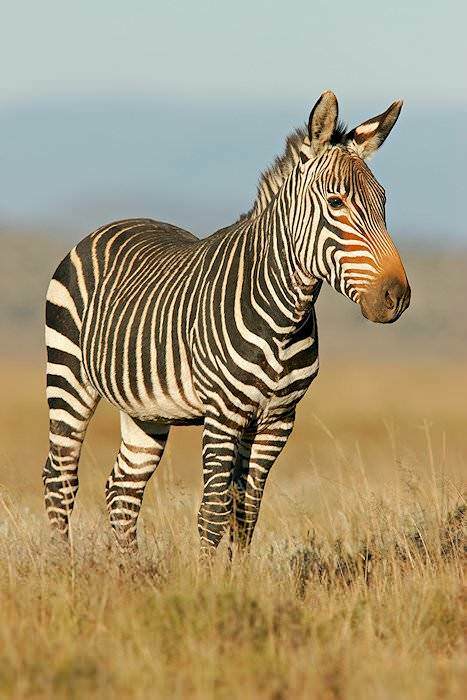 This tough little striped member of the equine family is better taken with the 30 calibers or even larger. Don't be afraid of being over-gunned; a badly placed shot from a light rifle will make for an extremely long day of tracking. Remember, no matter what rifle you choose, shot placement is always most important. 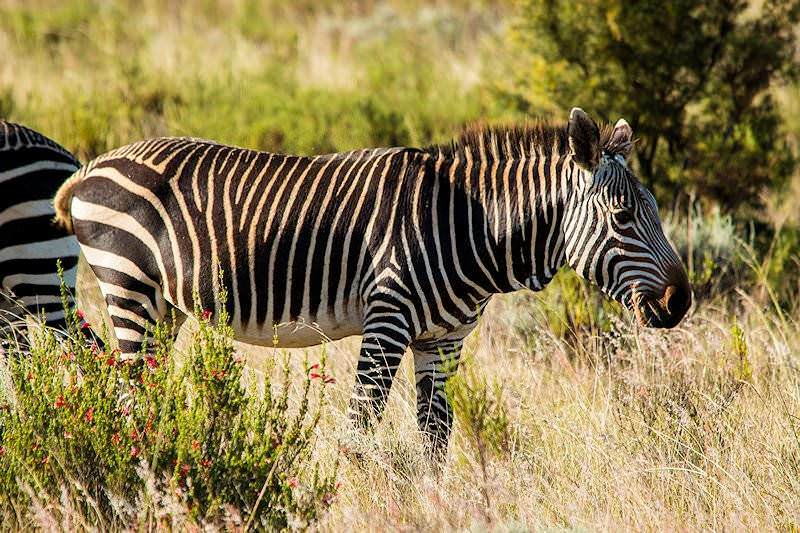 The high heart/lung shot will be your best bet when hunting mountain zebra. Aim your shot directly up the front leg between one third and half way into the body; be careful not to shoot above the midline. 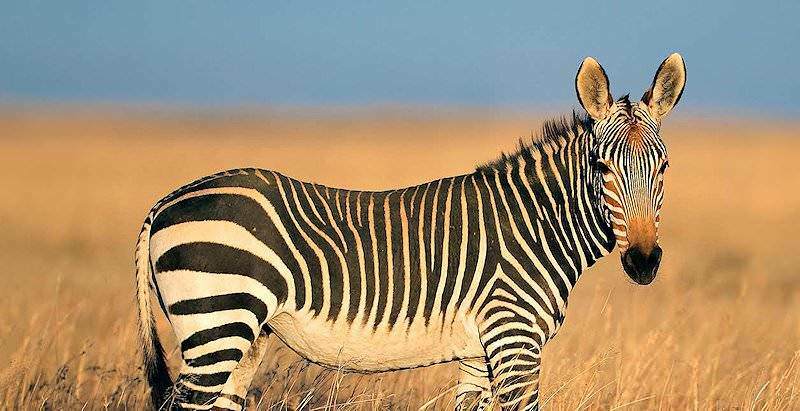 Further forward and a bit higher on the shoulder blade will give you a spinal/neck shot and your zebra will drop in his tracks. 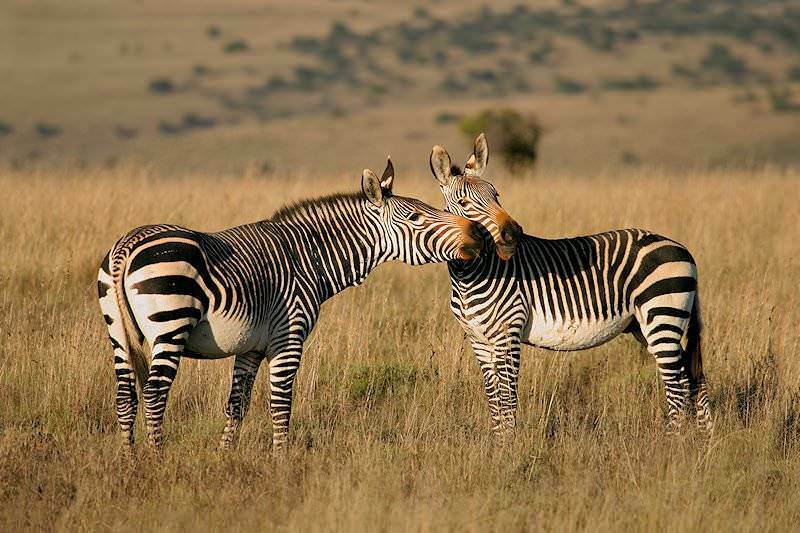 If offered the frontal profile while hunting Zebra, place your shot dead center in the chest, right between the shoulders at the base of the neck.